You know how people always say this or that topic is high yield for USMLE? And at the end, you realize that everything is high yield. Well, HIV is the highest yield of all. Which means you should not walk into any exam center without learning everything about HIV. 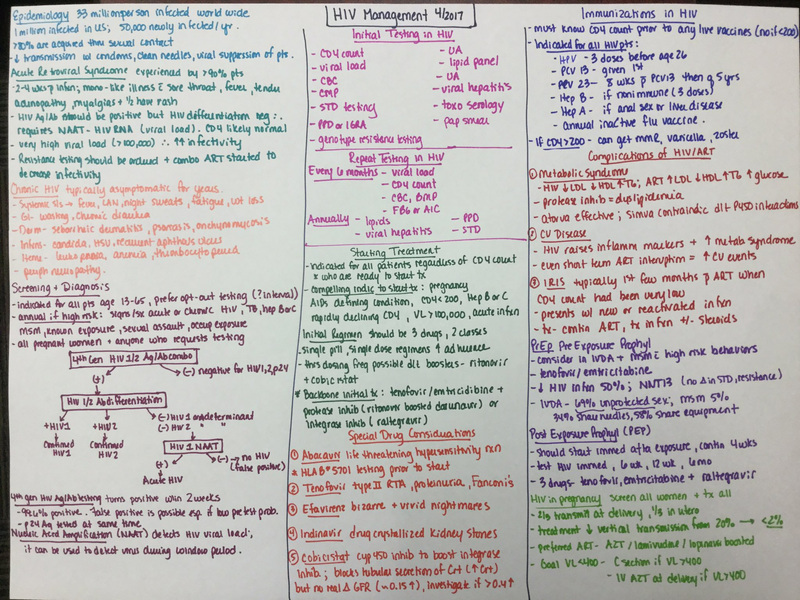 You will be asked about HIV on USMLE Step 1, Step 2 CK, Step 3 and even on your boards. Not only that, you also need to be able to keep yourself updated with the latest management and treatment guidelines. Remember, your exam is updated and will not ask you any management or guideline that is outdated. So to keep myself updated I only take notes from evidence-based medical journals such as Up-To-Date, NEMJ and USMLE World. Books are ok but they have a disadvantage since the author cannot update them on a regular basis. And you will have to wait a year for them to release a new book. So without any further discussion here is everything you need to know about HIV management. When I teach my students for their USMLE Step 1, Step 2 CK and Step 3, I make sure they are updated with the latest material. One of the many reasons why my students do very well on the exam is because I make sure they learn the latest materials and I show them different angles the board asks question on the same topic. I think big name companies are amazing in teaching the basics. But they definitely do not prepare you well for the boards. Let me tell you why. First of all, I do not want to belittle any brand so I wouldn’t name any specific companies. I think most of these companies will start your learning engine but they do not show you the way after that. Which is why even after taking the big branded course students cannot perform well on USMLE World and NBMES. I don’t understand why these companies only teach you the basics because your exam doesn’t ask you the basics. Your exam will ask you disease association, connections with different systems and reasons behind the pathology. And when they do ask you these, they ask them in a different angle. And that is what you need to master to score high on the exam. If you want to score high you need to start asking why. For example, those of you who are reading First Aid for Step 1, you know how in your Endocrine system under Cushing Syndrome it says it causes Hypertension? Don’t just memorize it. Ask yourself why? And then learn the reason behind it and start making a connection. And finally, connect the dot with the word “Permissive.” If you can do all of that, that’s when you know you mastered it well! Study hard guys! The exam is getting tougher and tougher. If you need help with USMLE Step 1, Step 2 CK or CS, feel free to check out my tutoring service. If you want to discuss your study plan with me and want me to be your mentor check out my consulting service. 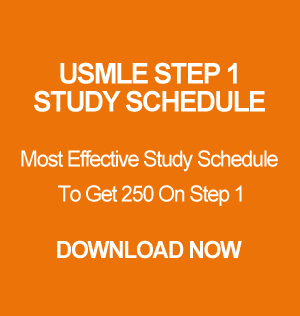 And if you need a study guide for Step 1 you can download my study guide for USMLE Step 1. Good luck studying guys! You can do it!